affected by microfinance: the microentrepreneurs themselves. You're invited to the IMOW Photo Awards Exhibit! Dana's a Winner! 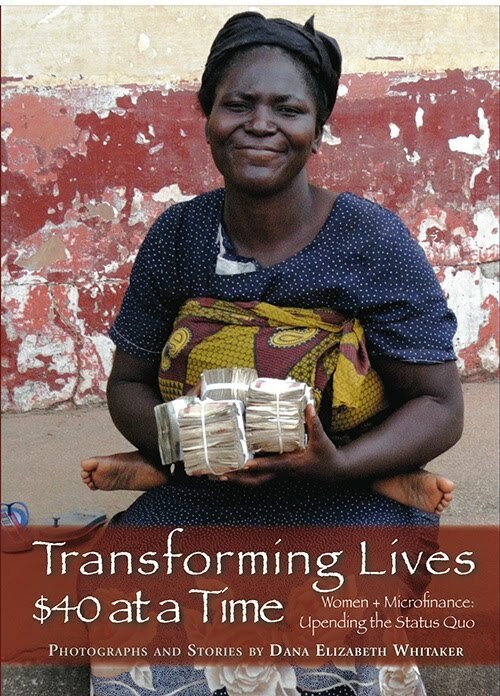 The cover photo from Dana's book, Transforming Lives $40 at a Time, Women + Microfinance: Upending the Status Quo (above) was selected by the International Museum of Women and the San Francisco Arts Commission Gallery to participate in IMOW's exhibition Picturing Power & Potential at San Francisco City Hall and on the IMOW web site. Over 150 artists submitted work to this competition, and after a rigorous review process, 54 images by twenty artists from across the globe were chosen. This exhibition is one component of IMOW's extensive online exhibition Economica: Women and the Global Economy. to celebrate her and to view the entire IMOW show.